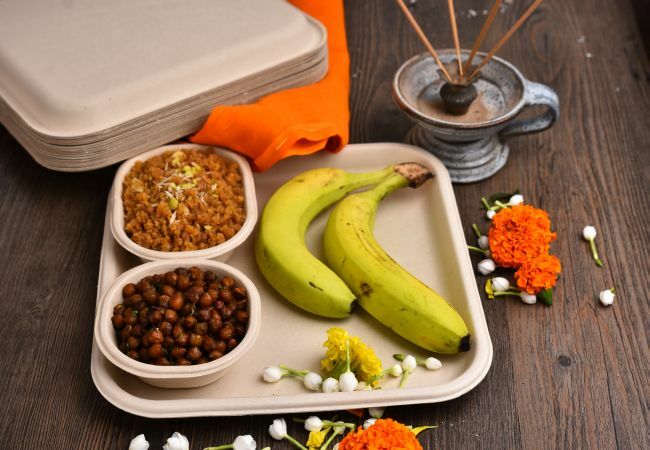 Uttar Pradesh-based organisation uses agriculture residues to make compostable tableware items which are lightweight flexible and microwaveable and at the same time strong enough to prevent food leakage. \ Pause for a moment and try to think of all the products that you consume regularly. Now, how many of those products are packed in or made from plastic material. Right from pens, water bottles, salt sachet, chips packets to single use cutlery, almost every item has an element of plastic which will easily take 500 years to decompose itself. 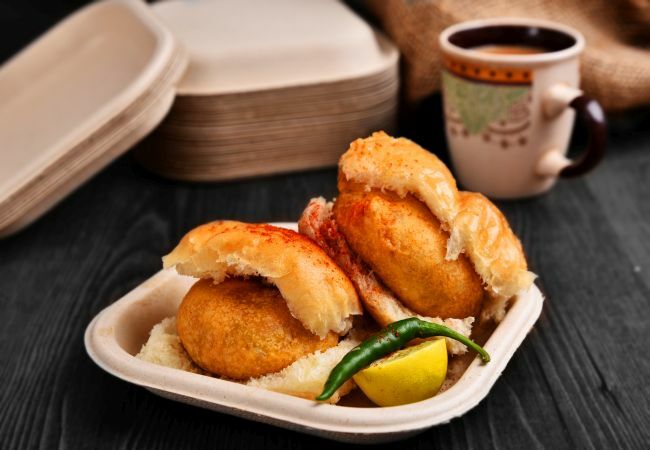 Alarmed by this dreadful reality, Uttar Pradesh-based Ved Krishna came up with a solution to the ever growing pile of plastic in the form of edible cutlery. 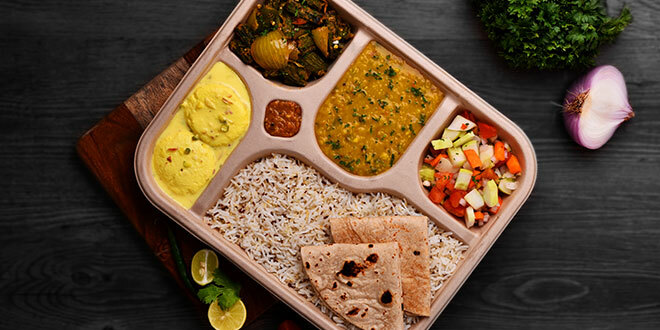 Through his tableware range CHUK, he came out with an alternative to plastic plates, bowls, containers and lids. The passion towards contributing to the environment stems from Mr Krishna’s professional life. His family-run business ‘Yash Papers limited’ in Faizabad supplies paper manufactured from bagasse, also known as sugarcane waste, for packaging and wrapping purposes. 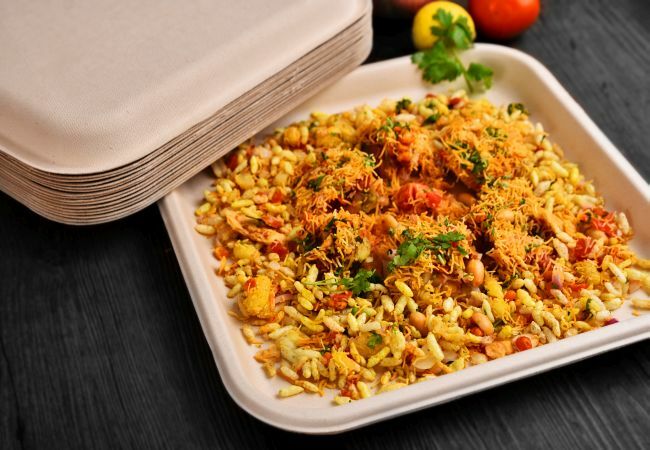 In 2009, Mr Krishna underwent a personal crisis after he realised that his client companies, especially the food chains, added or coated plastic to the bagasse paper, thereby defeating the entire purpose of reducing plastic polluter from the planet. Thus the idea of making biodegradable tableware was born. It was converted into a reality last year. The cutlery is made out of sugarcane waste which decomposes itself into manure a few months after its disposal. The organisation has retained the natural brown color of pulp and avoided using bleach which is a harmful chemical used often in other conventional options. What’s more? One can easily microwave or put the tableware in the oven to warm the food and freeze it when necessary. “We take sugarcane waste as a raw material and return it to the earth as CHUK, which biodegrades to manure within a few months. Thus we contribute towards a cleaner and greener planet, as we build a sustainable business. Everyone is aware about environment issues today. It’s more of a conscious everyday life choice one needs to make towards a better future and through our organisation we are doing that, said Mr Krishna, Head of Strategy. For years, the organisation conducted in-depth research and analysis on eating habits of people and on the kind of demand from food chains. The organisation, which consists of 500 people, came up with a Lego design where one piece fits into another to avoid any kind of leakage and make it more consumer-friendly. 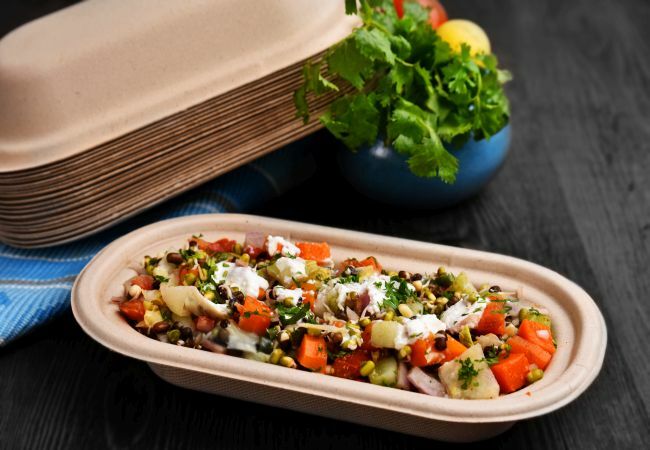 Among the many challenges faced by the organisation, transporting the biodegradable cutlery was a major one, “We didn’t want to use plastic to pack our products and packing them in paper could not save them from moisture in long trips. Hence we use a much expensive alternative, Polylactic Acid (PLA) sleeves to pack our tableware. PLA is also biodegradable,” said Mr Krishna. Using cheap plastic and styrofoam or even melamine, today increases your chances of spending on medical expenses later on in life. Switching to non-toxic tableware, that is hardly a rupee or two higher than the cheaper ones, will save you from that, he added. 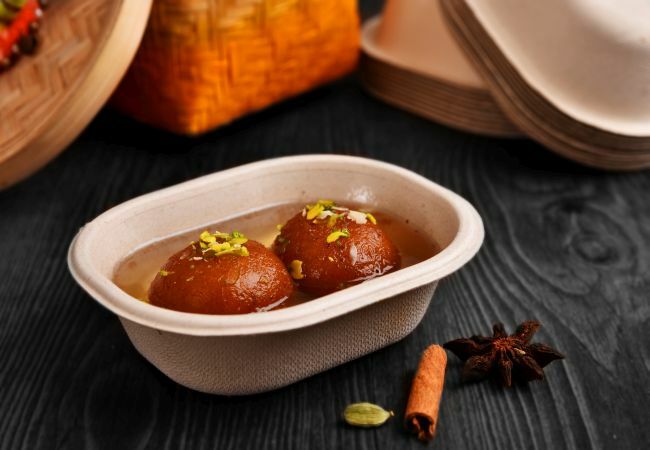 In last one year, the environment conscious group of individuals have partnered with several restaurant chains across the country including Hyderabad’s Paradise Biryani Group, Vaango restaurant chain, Delhi-based Bitto Tikka and the giant food delivery company Foodpanda that is associated with 15,000 restaurants in 150 cities of India. 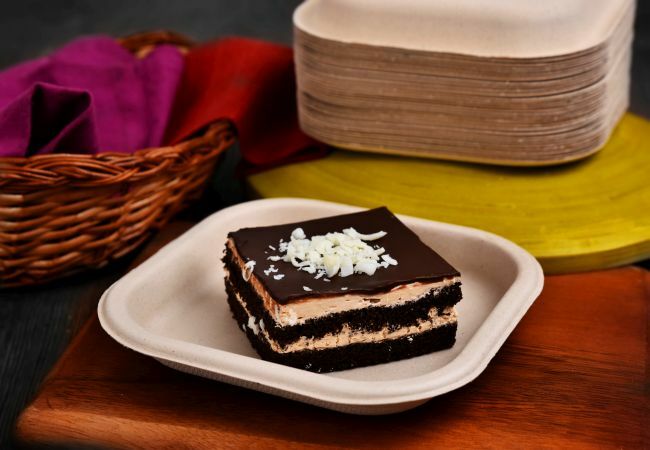 CHUK’s wide range of customer base only goes to show how people are now willing to make a switch from non-biodegradable plastic and contribute their bit towards the environment in any way possible. Previous Post: Plastindia foundation churned out the world’s largest T-shirt By Plastic Waste. Next Post: NID Alumunus Comes Up With An Alternative To Plastic Carry Bags In 200 Milk Centres.